Perhaps no other food is more synonymous with summer than corn. Most of us have fond memories of munching corn on the cob at barbecues, camping trips, picnics, or carnivals. However, close to 90% of the corn grown in the U.S. is of the genetically modified or GM variety. Since there are no labeling requirements for GM foods in the U.S., the only way to avoid GM varieties of corn is to buy certified organic. Scour local markets to obtain heirloom non-GM varieties of corn while they are in season in the summer. While many of us think of corn as being yellow, there are varieties in other colors, including white, pink, purple, red, black, and blue. Corn has a crunchy texture and a pleasantly mild, sweet taste. As a high-fiber food, it helps maintain healthy bacteria in the gut and is beneficial in the production of short-chain fatty acids in the colon, which have been shown to have a protective effect against cancer. Besides the high fiber content, it is also a good source of the mineral manganese and Vitamin C, both of which have antioxidant roles in the body. Another set of powerful nutrients to be found in corn is the antioxidant phytonutrients, such as lutein, xeazanthin, anthocyanin, and protocatechuic acid, as well as beta-carotene. 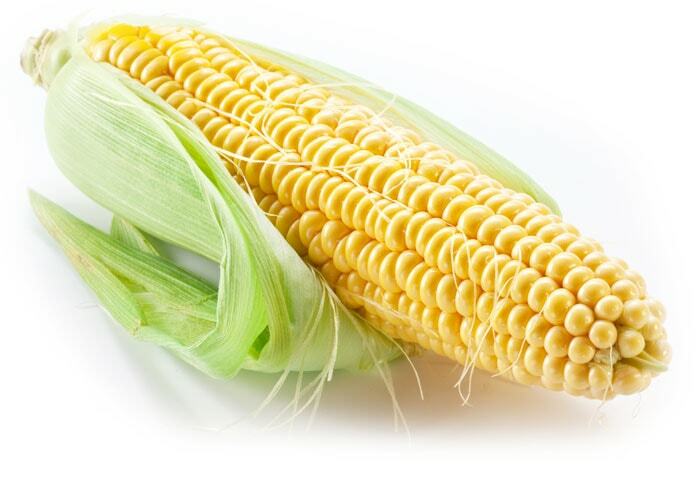 Corn also provides some of the B vitamins – particularly niacin (B3) and pantothenic acid (B5), which are involved in energy production and metabolism. Niacin from corn is better absorbed when lime from limestone or ash from cooking fires is added; these steps were common to Native American cooking practices and are still in use today, for example, in the making of corn tortillas where the lime added is in the form of calcium hydroxide. Corn flour that has been treated with lime is available in markets as masa harina. While corn can now be found at most times of the year, its peak season is summer, when most locally grown varieties are harvested. Your best bet to avoid GM corn varieties is to purchase certified organic corn. Otherwise, you may be able to find farmers growing heritage or heirloom varieties of corn that are non-GM even if they are not certified organic. When buying fresh ears of corn, look for those with fresh, green husks that are not dried or peeling. Corn is best eaten the day of purchase. If you plan on storing it, keep in the fridge and do not peel off the husks until you plan to use. In any case, consume within a couple of days. If you want to store corn longer, you can blanch and freeze it.